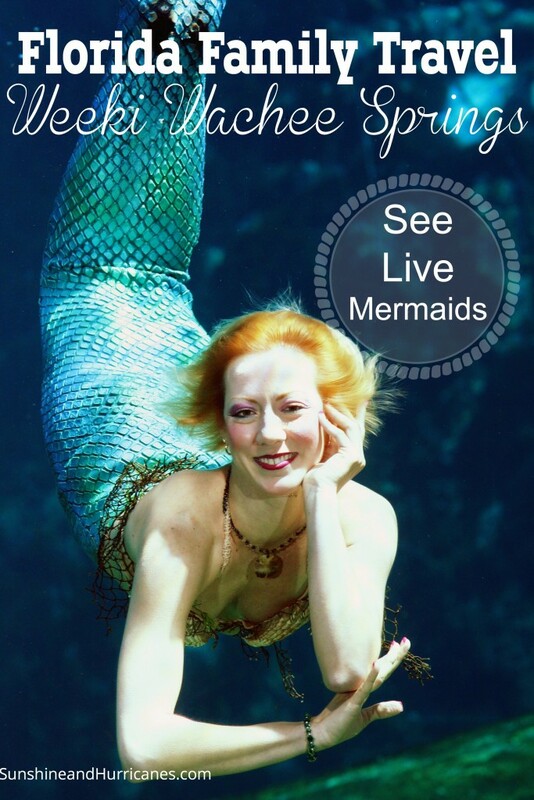 Want a chance to see mermaids up close and swim in some of Florida’s most pristine, fresh water? 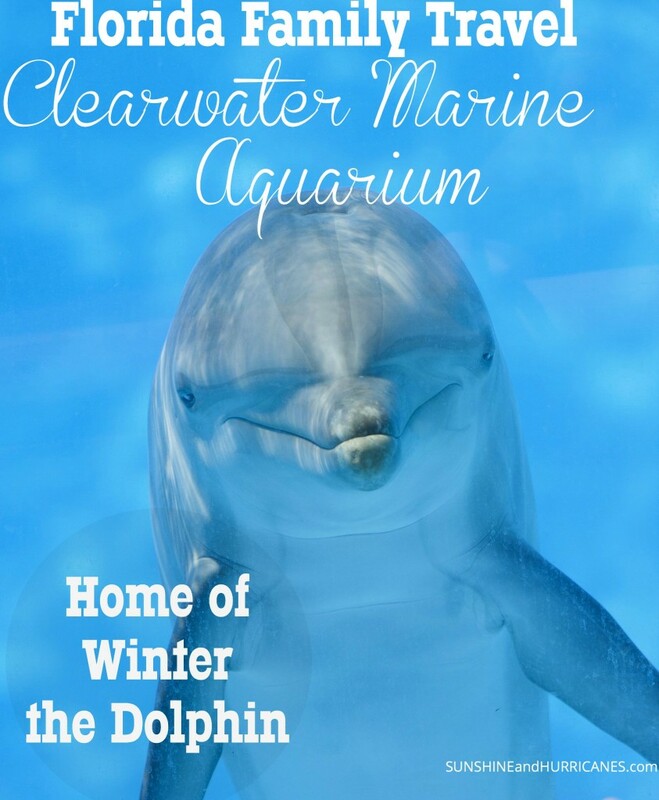 Weeki Wachee Springs is the perfect place to do both and have an amazingly fun family day! 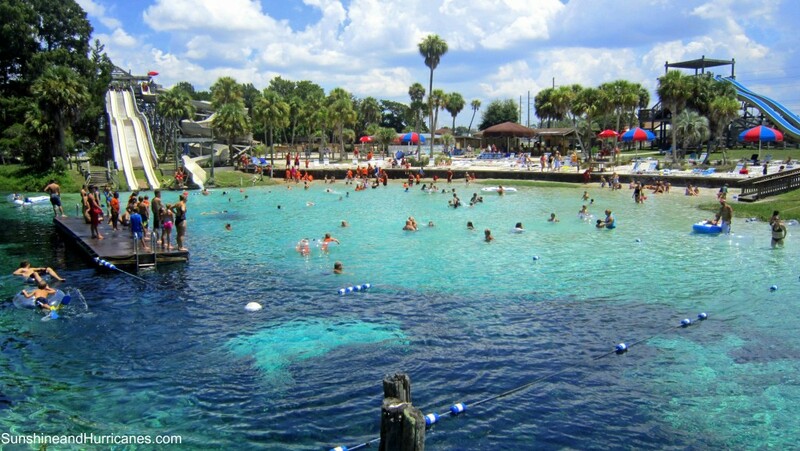 Weeki Wachee is located on Florida’s West Coast, just about 45 minutes north of Tampa and 2 hours west of Orlando. There is so much to experience you’ll want to set aside an entire day so as not to miss a thing! The first stop for us was the live mermaid underwater show. 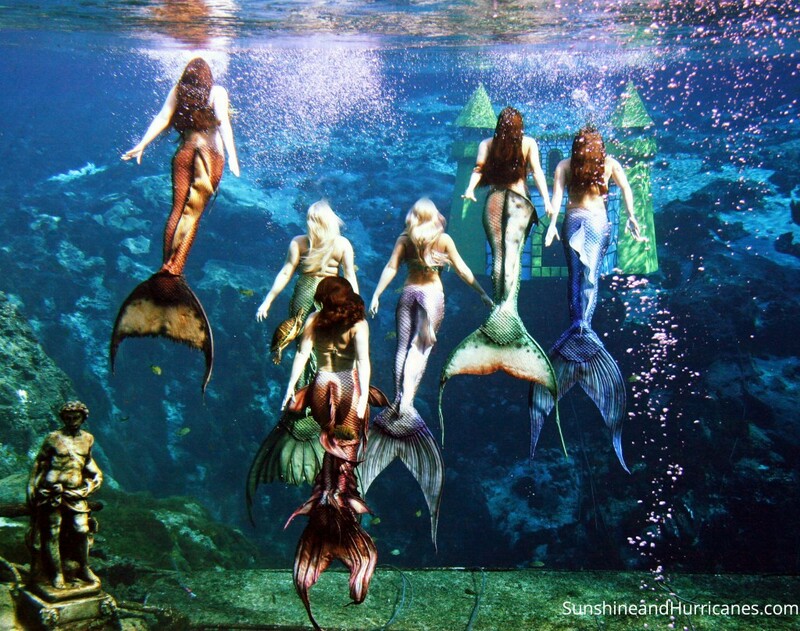 For close to 60 years, Weeki Wachee has been the home for a one of a kind mermaid encounter. Performed in an air conditioned, underwater theater, guests are treated to a retelling of Hans Christian Anderson’s The Little Mermaid lasting about 30 minutes. There is also a second themed show offered that changes seasonally so you do have 2 separate opportunities to view the mermaids. My kiddos were enchanted by the underwater acrobatics and ballet and it was a lovely presentation. The seating is limited in the theater and a daily schedule is available here. I would suggest making it your first stop of the day and arriving early to guarantee an ideal view. We went back in the afternoon for a different themed presentation and it was far more crowded. A mermaid meet and greet is offered following the show so of course, we took the opportunity to get up close and personal with the superstars! 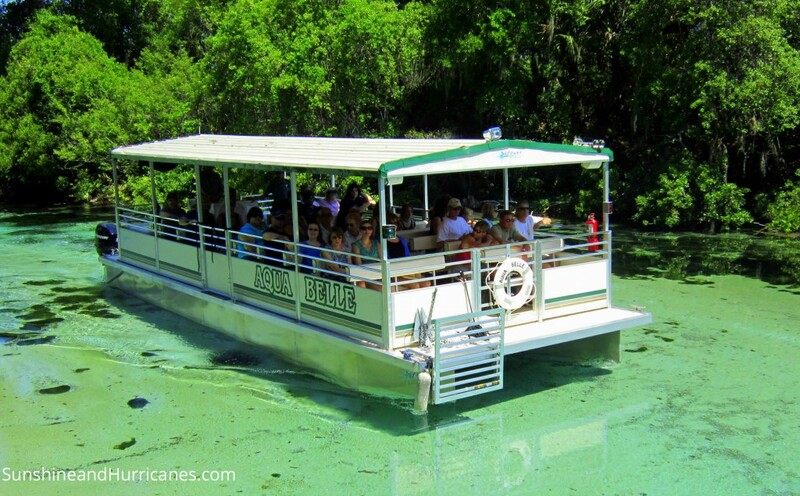 We took a peaceful, enjoyable boat ride on the crystal clear water through the springs to see wildlife along the riverbank and learn more of the park’s history. The boat runs on a continual basis beginning at 10am each morning. At last, it was time to visit Florida’s only spring fed water park! The 72 degree water can be a shock but you’ll soon appreciate the relief from the humidity and we all quickly adjusted. The pristine waters are sparkling clear and refreshing, a treat and respite from the heat for sure. The kids loved the waterslides and splashing away in the refreshing, cool water, swimming out to the diving platform, and playing in the sandy beach area. Lil’ Mates Caribbean Cove is a splash area and wading pool designed for children aged 6 and under. My youngest was quite happy over here while the bigger kids repeatedly rode the big slides and challenged themselves out on the diving platform. Coolers are permitted so we brought lunch, soaked up the sun, and thoroughly enjoyed our time at Weeki Wachee Springs. There is a natural lazy river as well and you can rent tubes for $8 and up. We chose not to experience that and still kept busy for the entire day. Weeki Wachee Springs is not your typical water or theme park. 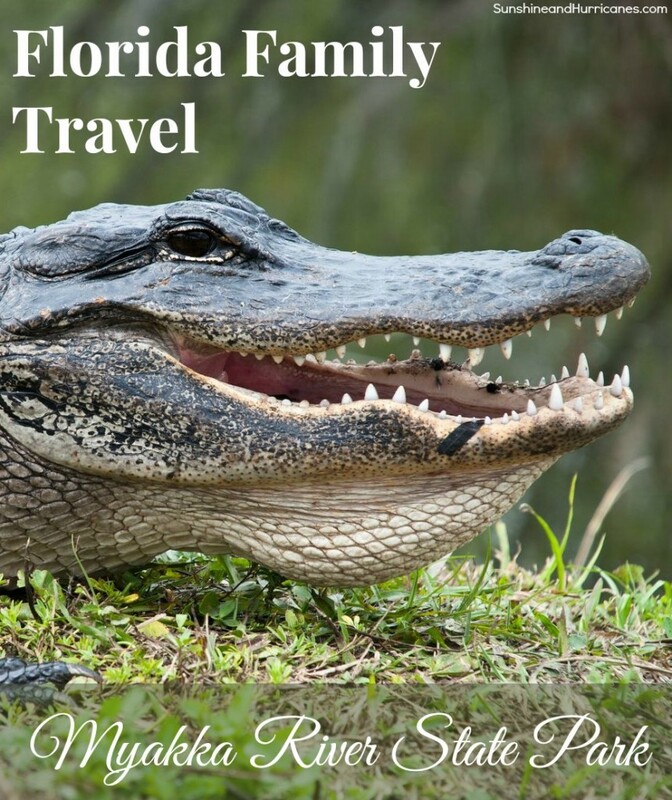 The vintage feel is a reflection of the Florida of yesteryear and reasonably priced for families. If you’re looking for an Old Florida style experience, be sure to visit the unspoiled beauty and wonder at Weeki Wachee Springs State Park. No matter your age, there is something for everyone and a truly memorable experience awaits! How is it that I live in Florida and have never heard of this place? Definitely adding this to the list of places to visit this summer! This is awesome!! My Kiddies would all love this!! Definitely saving this for our next trip to Florida! This place looks like so much fun! I’m putting this on my list of places to visit. I know my kids would enjoy this place. Oh my goodness how fun! 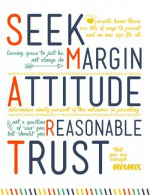 My girl’s would love this and I am putting it on my list! You always have great family fun activities. My daughter would flip out if we told her we were going to meet mermaids. I am going to put this on our summer bucket list as a must do activity with the family! My daughter would pass out if we took her to see real live mermaids! Thank you so much for letting us know about this awesome travel spot! Adding it to our bucket list! wow! I lived on the east coast of Florida f 8 years and have never heard of this! Just read a book where the main character was raised to be a “mermaid”! The water park looks great! Oh my goodness, this looks awesome! I totally want to take my kids to see this. Growing up, I wanted to be a mermaid after watching the movie “Splash”! This seems really cool! I would love to visit! This is so cool! My daughter would love this! Little Mermaid has always been one of her favorites. I’m so amazed at all the cool sites to see in Florida…! Super Different, super cool!